This recipe explains step by step how to smoke cheddar cheese–even store-bought cheese–into smoky applewood exquisiteness. Hickory Farms, be worried. This home-smoked Cheddar cheese brings back memories of those crates from Hickory Farms—you know the ones, they were shrink-wrapped and crammed full of small rounds of smoked cheese and sausage and they were everywhere as the holidays neared. Even as a kid, you just knew that the cheese could taste soooo much better. And you were right. 1. Set up your smoker [Editor’s Note: or grill] to maintain a temperature of less than 90°F (32°C). It is imperative that the heat be no higher than 90°F (32°C) to prevent the cheese from melting all over your smoker. There are several options for creating the much-needed smoke while keeping the heat to a bare minimum. I know it sounds like a nursery rhyme, but the Three Hot Coals and a Woodchuck method is actually a simple way to cold smoke. Place the cheese on the grate of your smoker. Set three lit charcoal briquettes flat in the charcoal pan or firebox of your smoker. Place a flat wood chunk on top of the charcoal to create smoke. Provide a little airflow and replace the charcoal and/or wood chunks as needed to keep the smoke going for the desired period of time. You can also purchase a device to create smoke that will turn any smoker or grill into a cold smoker. The two devices I have used extensively are the Smoke Daddy and the A-Maze-N Pellet Smoker both of which are inexpensive, hassle-free, and do a wonderful job. This smoked Cheddar cheese recipe works just as well with Gouda, Muenster, Edam, mozzarella, Swiss, and pepper Jack, infusing each with applewood awesomeness. I’m so excited to have tested this. I love smoked cheese! And it's so easy to make at home. First, if you don't have a smoker but just a grill (gas or charcoal), you must buy an A-Maze-N-Pellet-Smoker from amazenproducts.com and talk to Todd. He’s a wealth of information. 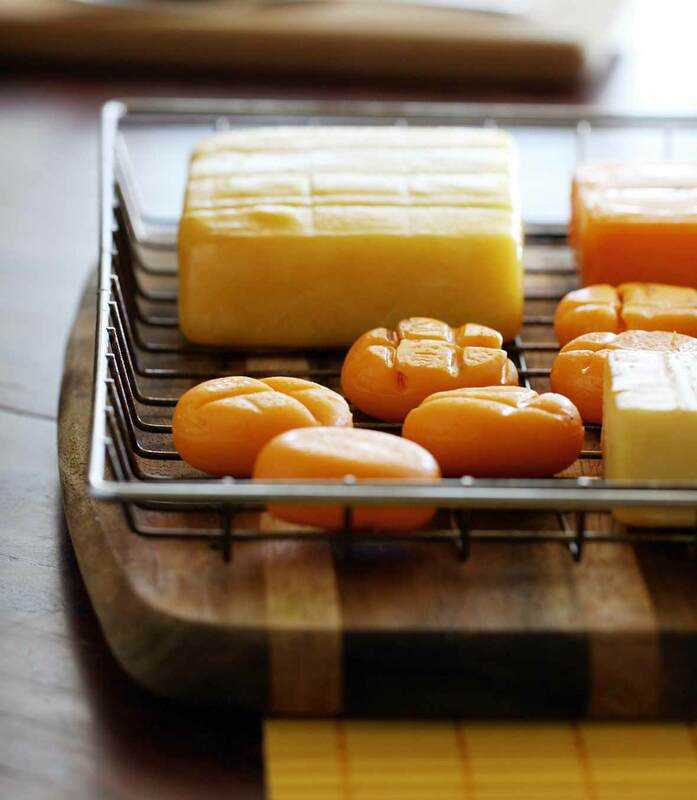 1) Freeze the cheese for 2 hours before smoking, so that the cheese melts less quickly, allowing the smoke flavor to be better dispersed throughout the cheese. 2) Fill a milk carton with water and freeze it, wrap it in aluminum foil, and put it on the grate above the heat source, then place the A-Maze-N smoker next to the milk carton. 3) Place the grill grate above the lower grate and place the cheese off to the side of the smoke. 4) Don't let the heat go above 85°F (29°C), as the cheese starts to melt a bit at 90°F (32°C). I used applewood sawdust, enough to cover 1 1/2 rows of the smoker, and lit it on one side. The directions that come with the smoker explain all this. It's very easy. I hung an analog meat thermometer in between the grates of the grill and closed the lid. It was only 70°F in Santa Monica, so the grill didn't need to be shaded, but if you live where it's really hot, you might want to put your grill in a shaded area or cover it with an outdoor umbrella. I used Gouda and goat cheese. The Gouda took about 5 hours (the recipe says 4 hours, but the smoke didn't seem to be reaching the center of the cheese). I smoked the goat cheese for 1 hour. I tasted it right after smoking and the cheese was a little bitter. The recipe says to refrigerate for 2 weeks to mellow out the smoke flavor. One week later, I tasted the Gouda and it was perfect. The goat cheese tastes amazing as well. This is so much fun! And now I can make my wild mushroom tartlets with applewood–smoked goat cheese and truffle oil. Great combo! Can't wait to try more cheese and cold-smoked salmon and trout. Lots to do with this A-Maze-N smoker! Smoked Cheddar Cheese Recipe © 2012 Jeff Phillips. Photo © 2012 Michelle Furbacher. All rights reserved. All recipes and photos used with permission of the publisher. Mozzarella would definitely not be terrible on there, jenijen…! I never, ever, would have thought you could home-smoke cheese, but what a great idea! This is so very simple, and I’ll definitely be trying it. My first thought was that it would make a great gift, too, especially with yummy local cheese. Thank you SO much for this post! I tried my first smoked cheese and out of three the Parmesan came out outstanding. Still have to practice a bit more as to how to keep the heat as low as possible, but it was a great start and I’m looking forward to doing it more often. Used applewood and the flavor was amazing. You know what they say, Sofia…practice makes perfect. And if there’s cheese sampling to be done in the meantime, well, so be it…. Buy a cheap soldering iron less then $10 at Walmart, a tin can, and wood chips. Voila, a cold smoker maker for cheap. Throw it in the bbq and away you go. Shouldn’t get higher than outside temp, easy to achieve in northern BC. Thanks for the DIY smoker instructions, Eviling. 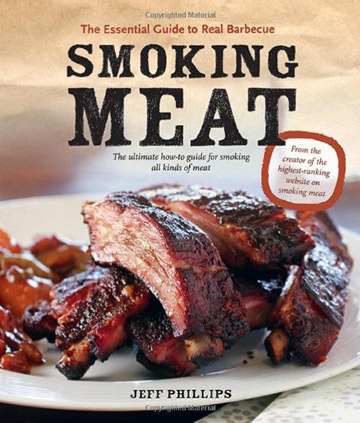 I have a Cameron Stove top smoker….do you think I’ll have the same success using it as the others mentioned? Yup, I do, Ginny. I have a Camerons and I loooove it. I haven’t smoked cheese in it, but I’ve no doubt that you can. Probably best, anytime you’re adapting a recipe for a regular smoker to be made in your Camerons, to read the instruction manual and to do a little Googling to see if anyone has any advice. I just looked up the instruction manual online and within the first few pages it gives you the recommended time for cheese. Let us know how it goes! Hi. I have attached a double doored fridge/freezer ( upright) onto the side of my house with a lean to roof over it. i gutted the ice maker and all of the wiring etc and left the fan in. i purchased two hot plates and use them on the bottom of the fridge, either side. for cheese i just place ice in containers on the first rack. for ventilation i have drilled holes into the bottom of the fridge and the top. to allow air in and out. i can do salmon and jerky on both sides. now, my question is this: i have googled and googled , and can’t find out anything about air drying the cheese first on racks with a fan behind it to form a pellicle to allow the smoke to adhere to the cheese. most websites just say fix up your smoker and put the ice in and lay your cheese in and fire away. the smoke will not even permeate the cheese this way, and if it does, it takes forever. it is the same principle as salmon. air drying it before smoking it, isn’t it?? Hey Geoff, I’m not a smoking expert. That being said, pellicle develops because the protein surface (of the meat, fish, etc.) has been cured and is then air-dried. The cheese has no cure on it, so there’s nothing to dry and become tacky. I think the trick will be to find some sort of a solution to rub over the cheese that then it can evaporate, leaving the surface tacky. Also, using cheese that is cut from the inside of the block will give you a better smoke than, say, a round of cheese that already has a skin from aging. Does that make sense? I have an A-Maze-N-Pellet-Smoker and a Big Green Egg, and have done mozzarella, domestic Asiago and a couple of bricks of 4-year old Vermont cheddar. A week to ten days has been about the right waiting time, and I think David is right about not needing to form a pellicle. The cheeses aren’t wet enough to need to become sticky. The Asiago was so good I had to hide it so I could have it all to myself. I’ll have to try a domestic Parm as it would kill me to fiddle with a Parmesano Reggiano. What I don’t get is the block of ice. Unless your outdoor temperature is well above 80ºF, you really shouldn’t need the ice block if you are using something like the A-Maze-N-Pellet-Smoker as it just doesn’t generate enough heat to melt the cheese. Perhaps if you smoker is really small, and you are using briquets you might need it, though I don’t see how the temp will rise much. Plus with the A-Maze-N-Pellet-Smoker, you can light it and use a covered Weber kettle or a gas grill on a cool day with no added fire. All you need is a decent draft to keep it going. I’ll have to go look at the directions to the Cameron. I wasn’t aware you could cold smoke in it or I’d have been doing it 10 years ago. Dang! Last weekend I cold smoked a full 15 lb. cured pork belly with the A-Maze-N-Pellet-Smoker, that’s now sliced and frozen, and am trying to figure out how to make a decent smoked tofu for the vegan in the household. Can you believe I have a vegan in MY house, when my nickname has been Baconella? Judy, your creations sound amazing! Regarding the block of ice, some cold smokers can get over 90 degrees; the USDA says any temp to 140 degree constitutes a cold smoke! I think it’s in the recipe to make sure people get the best result possible. 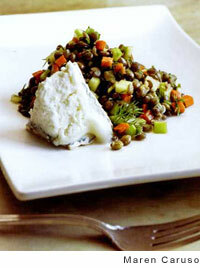 This sounds delish, we tried some smoked goat cheese the other day, wish we had brought more of it! You’ll just have to make yourself some more, Britt! Thanks so much for taking the time to let us know. Looking forward to hearing how it goes! I have used this recipe in my upright gas smoker with Kraft Cheddar which I smoked for 2 hours. The result was excellent. I have bought more cheese to try.